CHICAGO (AP) — Illinois' attorney general on Tuesday asked the entire 7th U.S. Circuit Court of Appeals to review a lawsuit challenging the state's ban on concealed carry in an effort to salvage the only law in the nation that makes the practice entirely illegal. Last month, a three-judge panel struck down the Illinois ban as unconstitutional and gave lawmakers 180 days to write a law legalizing it. 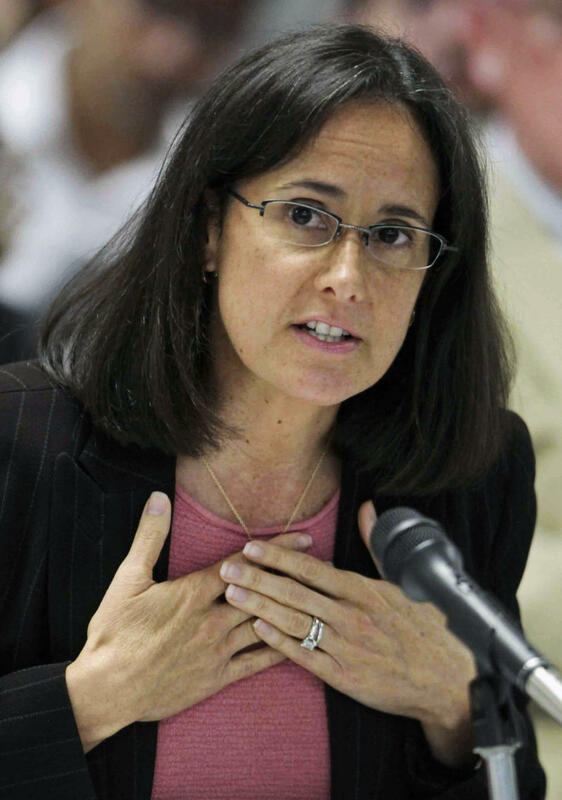 But Attorney General Lisa Madigan is asking that all 10 judges on the court rehear the case, saying the previous decision "goes beyond what the U.S. Supreme Court has held" and conflicts with decisions by two other federal appellate courts. The judges suggested in a 2-1 decision that legalizing concealed carry is long overdue. Judge Richard Posner, who wrote the majority opinion, said that there was nothing to suggest that criminal activity in Illinois was different enough from that in other states to justify taking a different approach to concealed carry. Richard Pearson, executive director of the Illinois State Rifle Association, said he was "OK" with Madigan's decision. "That just puts (the issue) back in play," Pearson said. "If we get a favorable ruling, we'll be happy and if we get an unfavorable ruling, we'll be on to the Supreme Court." Pearson and other gun-rights advocates have long argued that the prohibition violates the U.S. Constitution's Second Amendment and what they see as Americans' right to carry guns for self-defense. Madigan's request does not affect the court-ordered 180-day timeline to write a new law. The appellate panel's ruling argued that Illinois had not made a strong case that a gun ban was vital to public safety. It also said the Supreme Court already decided that the Second Amendment "confers a right to bear arms for self-defense, which is as important outside the home as inside." The dissenting judge, Ann Claire Williams, said that firearms carried outside the home increased the risk of death or injury to a broader range of people. Gun rights advocates had been threatening to make Illinois once again the center of the national gun-control debate over the issue. In 2010, the U.S. Supreme Court made Chicago's 28-year-old handgun ban unenforceable, ruling that Americans have the right to have guns in their homes for protection. The city responded by approving alternative methods of restricting who can have guns.